The BBPOS event team recently attended TRUSTECH, named by Business Wire as the Global Event Dedicated to Trust-Based Technologies. According to Gloria Chan, Marketing Communications Manager, “This spectacular event provided a prime opportunity for us to develop global brand awareness and create new business opportunities.” One of this year’s primary conference tracks, Commerce and Payments, an Ongoing Revolution, attracted thousands of executive- and management-level people from payments, financial services, business, telecommunications, identification, and data security sectors. Our display complemented ideas conveyed throughout the three- day event and drew crowds of decision makers looking for solutions. 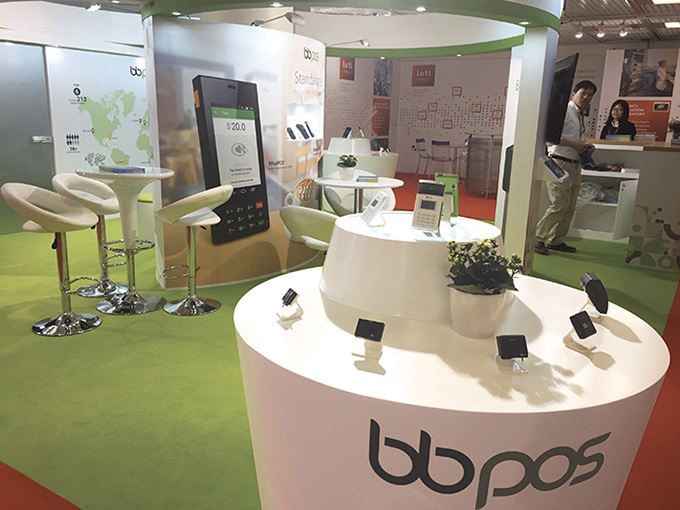 Visitors were amazed by the innovation, flexibility, and mobility of BBPOS devices. People were particularly drawn to the highly-flexible WisePad 2™and WisePOS™ that supports magstripe, chip, and NFC transactions with standalone feature. Our goal at TRUSTECH is to build new relationships as well as meet and share BBPOS’ thoughts, expertise, and products with the event's large international audience. An estimated 18,000 participants, representing over 130 countries, attended the 3-day event in Cannes, Paris.